Is sleeping on the left side to prevent heart attacks effective? While the connection between the heart and sleep is strong, the sleep position may not be the best strategy. The heart is a vital organ that has critical functions whether the person is awake or asleep. The heart responds to dreams during the REM cycle as if the dreamer were awake. Arrhythmias can occur during the REM cycle and this can aggravate existing arrhythmias or increase the chances for heart attacks, according to "The Role of the Heart in Sleep" by Dr. Sushil Sharma, M.D. in the Sleep and Health Journal. Breathing is another factor to consider as pulmonary function is linked to the heart. Severe sleep apnea is a serious sleep disorder that can have a detrimental effect on the heart, raising the chances of a heart attack or death by 30 percent. Sleeping on the left side is not recommended to prevent heart attacks. In fact, the practice may be detrimental in some cases. Dennis Auckley, M.D. is the director at Metro Health's Center for Sleep Medicine. He provides a response to the question "Is sleeping on the left side bad for the heart?" His findings, as well as those of other doctors, are specific to adults and shed light on the effects sleep positions can have on the heart and other conditions. No clinical studies have been made to support sleeping on the right side to prevent heart attacks. Studies are limited to individuals with chronic heart failure or previous heart attacks. It is unclear as to why the changes in the sympathetic nervous system occur. No studies have been done about the effects of sleep position on the heart in healthy adults. Those who sleep on the left side may want to talk to their doctors about the practice. More research is necessary to determine whether sleep positions affect the heart; but, some adopt the practice of sleeping on the right side for its mysterious effects on the sympathetic nervous system. It isn't clear whether the practice lowers heart rate and blood pressure in all people. The autonomic nervous system controls body functions that occur automatically and the systematic nervous system is a subset of this structure. The systematic system controls functions that help the body deal with emergencies. Some may be familiar with the automatic "fight or flight" response associated with threats of danger or panic attacks. Heart rate and blood pressure are two facets affected by this system. The systematic nervous system is related to sleep because it kicks into gear after a sleep cycle ends. It also prepares the body for waking as well. The heart is affected during REM sleep, during transitions between sleep cycles and right before waking. If laying on the right side slows the functions of the sympathetic nervous system during sleep, it may lessen the possibility of arrhythmias and increased blood pressure as well. At this point, no one really knows if this approach is effective. Some may find it surprising that something as simple as sleep positions can have an effect on a person's health. 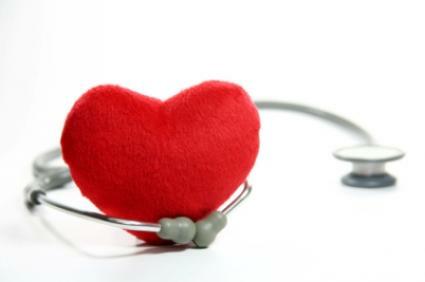 Those with heart problems have some questions that can only be answered by their physicians. Check with a doctor before investing in a side sleeping pillow for left-sided or right-sided sleeping. Sleeping on the left side to prevent heart attacks is not a practice that should be adopted without medical guidance. It may be necessary to have a sleep study before making lifestyle changes. A cardiac or pulmonary sleep specialist or may be the ideal professionals to consult for anyone who has both heart and sleep problems.